Here on the blog we're doing a regular series of idea gathering wrap ups, pulling together some of our favorite stories on customer experience, customer experience design, and overall customer-centricity. Share with us in the comments to add your thoughts! The 2012 North American Brand Performance Study by Forrester has given brands some very compelling, perhaps even scary, information. Customers are smart, more empowered then ever, and they seek innovation, trustworthiness, and convenience from brands more vocally as a result. Inspired by the study, Sheridan Orr traces the customer journey way, way back in Retail Customer Experience with "Infographic: The evolution of customer experience." This interesting history starts with the rise of vending machines and traces the customer up to the modern day, where increasingly in each step the customer can customize and practice self-service, but in return expects smart and innovative responses. While comparing the struggles of Kodak with the recent success of Instagram, Michael Hinshaw, Customer experience innovation strategist and co-author, ‘Smart Customers, Stupid Companies’ wrote in the Huffington Post "Your customers' changing expectations have forever shifted the ways they expect to be treated." Forbes called out "Trust, Consistency, and Loyalty" as the "Three Attributes Of Enormously Successful Companies" saying "Self-awareness can be good for the soul; it is excellent for the company’s bottom line." When was the last time you asked yourself if your company was walking the walk? Like these updates? Follow us on Twitter or become a fan on Facebook for industry news all week long. This case study presentation provides an overview of the BMO Customer Experience Journey; how BMO defines customer experience; and shares how BMO organizes itself around Customer-Experience, highlights key programs developed to engage employees and embed customer experience in day-to-day business activities and processes. No matter where the accountability of "customer value" lives in your organization, customer centricity is a real leadership issue and one that takes priority especially today. The Total Customer Experience Leaders Summit tackles this issue head on. Our customer experience leaders will redefine customer centricity and explain what this means for you, your brand and your business. Joining Kelly at the event is an impressive line-up of customer experience professionals sharing their own real-life stories. AAA NCNU, AARP, American Family Insurance, Boston Symphony Orchestra, Burke, Inc., Citizens Financial Group, Dunkin' Donuts, Experience Engineering, Feltz & Associates, LLC, Forrester, GfK Custom Research, GfK Customer Research, Hunter Douglas, Inc., Indiana University, Janet LeBlanc & Associates, JoAnna Brandi & Company, Inc., Maritz Research, Porter Airlines, Prophet, REI, Rockwell Automation, Starwood Hotels & Resorts Worldwide, The Hartford, Time Warner Cable and USAA. Download the brochure to see the full program. As a reader of our blog, we’d like to offer you a 15% off the standard registration rates, use code TCEL12BLOG to save. Visit the webpage to register today. We look forward to seeing you this June in Boston! TCEL: Tell us about a project you are working on or recently completed that you are proud of? DB: We’ve just completed a new event-based survey that allows us to get feedback on our PROJECT business. The survey is very different from our annual customer survey in that it focuses on the individual project – from proposal through design through start-up. The goal is to both ensure a successful project, and get actionable feedback on our performance. TCEL: What do you think is the key to a successful Customer Experience program? DB: Senior Management support. Improving customer experience can’t be done from the bottom up. Moving the needle takes hard work and real commitment. And that comes by senior management talking about customer experience, defining performance goals, linking performance to compensation, prioritizing customer experience expenditures, and taking a personal interest in improvement projects. TCEL: What inspired you to get in the field? What keeps you motivated? DB: Motivation is easy. In our company, the Customer Experience Office is not just the messenger for conveying customer feedback - we’re also responsible for driving improvements. So knowing the next customer survey is right around the corner, and I’ll be the one walking through results with the CEO, I’m constantly motivated to drive feedback into actions that will improve our Customer Experience scores. I got into the field primarily because it allowed me to leverage my diverse background (sales, marketing, quality, product development) and interpersonal skills to make some real differences. TCEL: What is one thing you’re excited about for this year’s Total Customer Experience Leaders Summit? DB: Meeting peers. In our field, we rarely get a chance to share our approaches, successes and failures with peers. Books and consultants are helpful, but there’s really no substitute for an in-depth understanding of how other companies approach customer experience. There’s no one right way, and the approaches vary widely. My goal is to gather ideas that will form the basis for a strategy that elevates our own program to the next level, and likewise I hope I can offer ideas to help others advance. TCEL: What is one question you are looking to get answered at this year’s Summit? DB: My question: How do you keep the vitality in your customer experience program? It strikes me that no matter how good the research is, and how well it’s presented, the enthusiasm naturally diminishes over time. Rockwell Automation, Inc., the world’s largest company dedicated to industrial automation and information, makes its customers more productive and the world more sustainable. Headquartered in Milwaukee, Wis., Rockwell Automation employs about 21,000 people serving customers in more than 80 countries. To hear more from our Customer Experience Experts, visit our resource page for a full catalog of interviews, or join us June 6th-8th in Boston. As a reader of our blog we’d like to offer you a 15% off the standard registration rates, use code TCEL12BLOG to save. Register for the event here. What is your customer experience THEME? As part of ongoing customer experience training and personal development, I'm always on the lookout for a great training conference that I can attend to help develop my skills as a customer service and customer experience leader. Being on a budget, I'm looking to get the best bang for my buck. 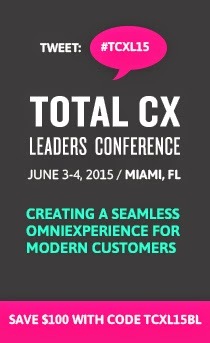 The Total Customer Experience Leaders Summit is the conference you can't miss! At last year's conference, a stellar group of customer experience leaders trained on the importance of establishing customer experience as a key value of your organization to compete in today's customer experience focused economy. Joe Pine led off the conference giving the state of what customers want today. The recession isn’t slowing down this progress; instead, it is accelerating the shift to customer experience being what consumers truly want. With limited spending money, people...don’t value “stuff.” They value shared experiences...Soon, experiences will become the predominant economic offering. How do we create customer experience in a digital marketplace? Experiences aren’t always done in real time and in a physical place. The key is to be consistent in the delivery of your service theme that your customers receive. Joe outlines how to create a THEME that will guide you as you design an exceptional customer experience. What thoughts/feelings to you want to evoke from customers? Is your entire team on board? Is your delivery consistent? Do you connect your company ideals with the needs of customers? What words/actions/behaviors/triggers break down the positive experience your customers receive? What are you doing to mitigate these customer experience combustion points? Do you offer digital swag only your customers can enjoy? It doesn't have to be for everyone, but when you get feedback (good and bad), or an exceptional review or experience with an individual, what can you send to solidify that experience? Think of all of the touch points customers have with you. What does it look like from the customer's point-of-view? Do they feel special? Do they feel like you care? Do they feel special? Hopefully you get the idea. Thoughts should be coming to mind about your situation and what you can do to make the digital experience better for your customers. This along with more great customer service training content is waiting for you at The Total Customer Experience Leaders Summit this year! The technology is there to help us create exceptional experiences with our customers in today's digital economy. Our only limitation is our creativity and willingness to focus on the customer. It doesn't all need to be done in person. It doesn't require a physical handshake, or a human phone call. What do you think? How do you show your customers you care? I'd love to hear what principles guide you to as you work to deliver a quality customer experience. Curious about The ROI of Customer Experience? Some recent Temkin Group research in both B2C and B2B environments as well as research by Forrester shows that "Yes, there is a revenue impact tied to customer experience." "Forrester found that the impact of customer experience on hotels and wireless service carriers was more than $1 billion for each industry. For hotels, the potential impact is $1.36 billion, while for carriers it is $1.3 billion." ""While value is important, consumers want more than simply the lowest price," said J.D. Powers' Gina Pingitore, chief research officer, in a press release. "They expect a superior product that is delivered in a compelling presentation, through fast and easy-to-understand processes that are supported by responsive and concerned people. In addition, the price must be perceived as fair and competitive." "Closing 50 underperforming stores is a move in the right direction for operational efficiency, but Best Buy shouldn’t be competing with Amazon.com on price, they say—it should be competing on superior customer experience." Overall, we're taking away one lesson from all this research: Good customer experiences have a proven ROI, and can be real differentiators for a company. Do you agree? Drive change and optimize your sales force by measuring customer feedback through the entire customer experience at the Total Customer Experience Leaders Summit, an event that not only redefines customer centricity, but explains what this means for you, your brand and your business. With the evolving landscape of communications channels available to customers, it's clear that organizations must adapt to meet the needs and preferences of their customers, or risk losing those customers to competitors. However, without a plan to strategically leverage the valuable information that is captured during contacts, organizations may never realize the full potential of customer interactions. In this presentation, Robert will focus on the value of contact data, both quantitative and qualitative, and offer suggestions on how to analyze and deliver on the strategic value of multi-channel data. As a reader of our blog we’d like to offer you a 15% off the standard registration rates, use code TCEL12BLOG to save. We look forward to seeing you this June in Boston! 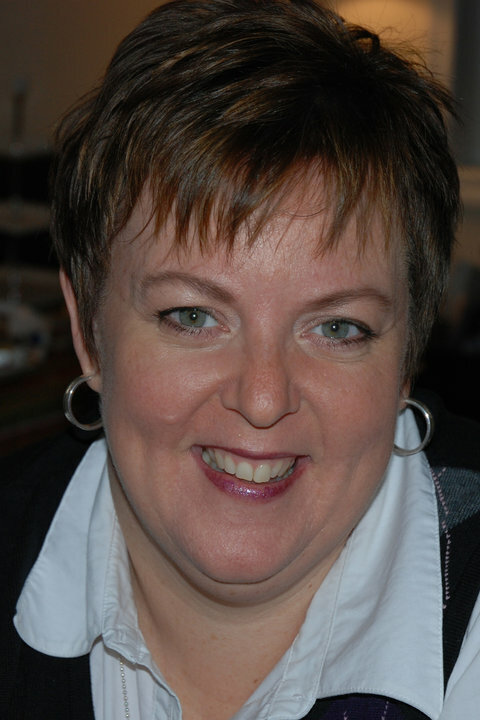 Idea Gathering: Customer Experience News: What's "Good Enough" For You? This week on the blog, we wrote about the impact of a customer-centric company culture and talked with Peter Dixon, Senior Partner, Creative Director, Prophet, about the power of creating small moments of delight for your customers. Meanwhile, Kate Leggett was asking on the Forrester blog, Is "Good Enough" Customer Service Good Enough? arguing that the real focus needs to be a consistent, reproducible experience across all touch points. But is this a false dichotomy? In an ideal world wouldn't you have both moments of delight for customers as well as the removal of experience pain points? Another big question this week: Are customer loyalty programs broken? This week Mashable's Webtrends series posted 2 Ways to Fix Customer Loyalty Programs, pointing out that many consumers see these programs as irrelevant, but that increased targeting and better use of mobile technology could remove some of the issues. So how do you target your customers better? In this piece on MyCustomer.com, Professor Hugh Wilson from the Cranfield School of Management "claims that when it comes to experience design, marketers need to overhaul their thinking" and segment customers based on channel preferences, not demographics. In an upcoming webinar, IIR will be hosting Joe Stanhope, Senior Analyst, Forrester Research and Annie Weinberger, VP of Marketing, Autonomy an HP Company on "The Future of Online Testing" and testing and targeting for more successful customer interactions online. Perhaps we'll gain some more insight then. Please mention priority code: MWJ0020-BLOG when registering. An organization's culture can be a potent, powerful force contributing to its success or failure. Some organizations define their culture as "a culture to win", a "sales culture" or a "culture of excellence". But what about the customer? Organizations that have successfully created a customer-centric culture have a hard-to-replicate source of competitive advantage - one that is far more important than any technological innovation. The Total Customer Experience Leaders Summit, an event that not only redefines customer centricity, but explains what this means for you, your brand and your business. It will unite diverse industry leaders to share genuine insights and best practices for "Designing an Integrated Experience with a Measurable Impact." Download the brochure to view the comprehensive agenda covering customer experience design, measurement & feedback, strategy and alignment. Total Customer Experience Leaders Summit 2012 covers everything your organization needs to know to create a customer-centric culture. As a reader of our blog we’d like to offer you a 15% off the standard registration rates, use code TCEL12BLOG to save. Visit the webpage to register today. We look forward to seeing you this June in Boston! Peter Dixon, Senior Partner, Creative Director, Prophet, will be speaking on Understanding and Delivering Customer Experiences at our upcoming Total Customer Experience Leader's Summit. 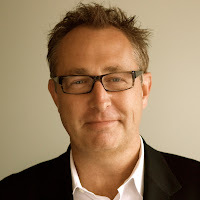 I caught up with him last week to record a quick podcast where we discussed his work with Prophet and the keys to building a great customer experience program. Peter focuses a lot of the "moments of truth" for a company, creating an emotional connection and the small moments of delight that can pay off big if a company is willing to invest in them. As he put it "big brands doing small things." Listen to our podcast here for more customer experience insights. If you'd like to hear more from Peter Dixon, join us at the Total Customer Experience Leader's Summit this June. As a reader of our blog we’d like to offer you a 15% off the standard registration rates, use code TCEL12BLOG to save. Visit the webpage to register today. Michelle LeBlanc is a Social Media Strategist at IIR USA with a specialization in marketing. She may be reached at mleblanc@iirusa.com.